Go My Journey Pvt Ltd is a reputed name among the Tour & Travel Agents in New Delhi offering effective travel services in the interest of clients. 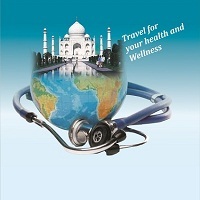 We offer exclusive packages for Medical Tourism to Goa, one of the most popular places for ayurvedic treatments. Come and experience serene bliss in Goa where tourists from different parts of the world come to rejuvenate themselves as well as learn and educate themselves about the different herbs and ayurvedic treatments as a part of their study. We open platform for medical tourism educating and enlightening people from all over the world about the health benefits of ayurveda. These packages are offered by us at very cheap rates.